Take a break and get high on a mix of 64 breath-taking patches! 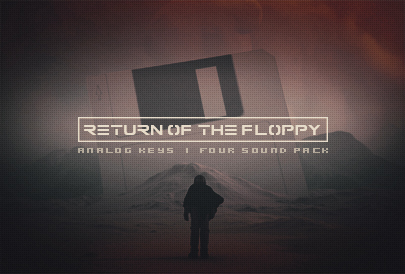 Exclusive made for the Analog Keys/Four! It's also compatible to MKII users! Download 130 new Analog Four/Keys patches. Designed by Floppydisk Pirates. Mastering & Sound design. Download over 100 new Analog Four/Keys patches. Designed by Floppydisk Pirates. Mastering & Sound design. Download 24 high quality & 100% analogue bass drum samples. Designed by Floppydisk Pirates. Mastering & Sound design. Free download of 128 brand new Analog Four/Keys patches. Designed by Floppydisk Pirates. Mastering & Sound design. Free download of 128 beautiful patches for the Analog Keys and Four. Designed by Floppydisk Pirates. Mastering & Sound design. A free sound pack made for Analog Four & Analog Keys and sampled for Analog Rytm, Octatrack & Machinedrum UW.